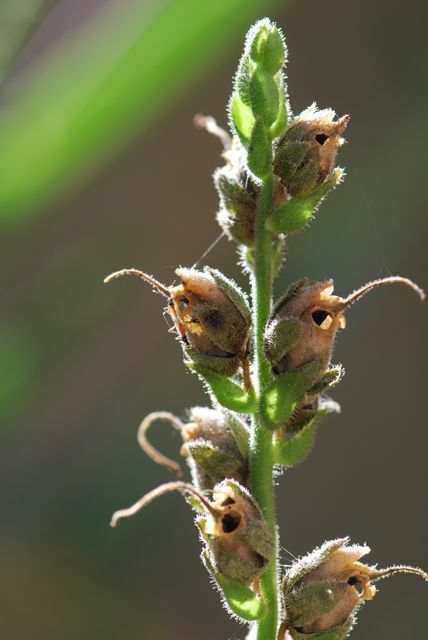 The mystery seeds last week were from the common garden snapdragon, Antirrhinum majus. 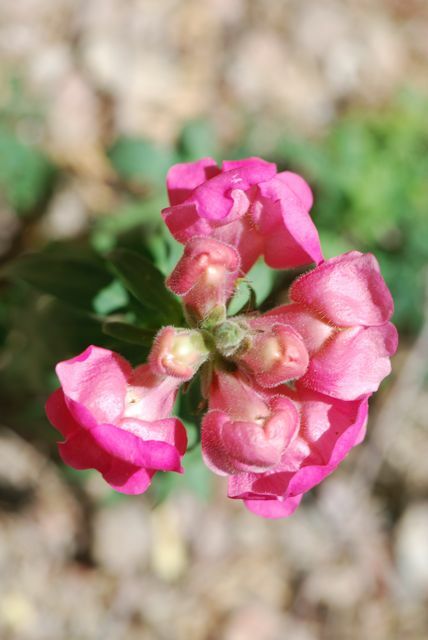 The garden snapdragons are originally from the Mediterranean area. 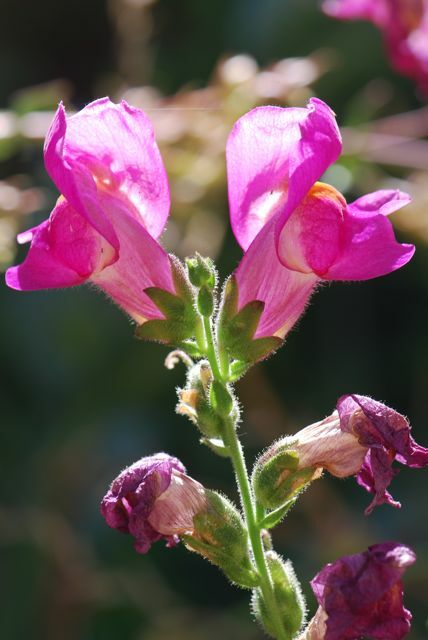 Did you know that snapdragons are perennials? Although in areas with cold winters they are grown as annuals, here in Arizona we have had some of the same plants last several years. 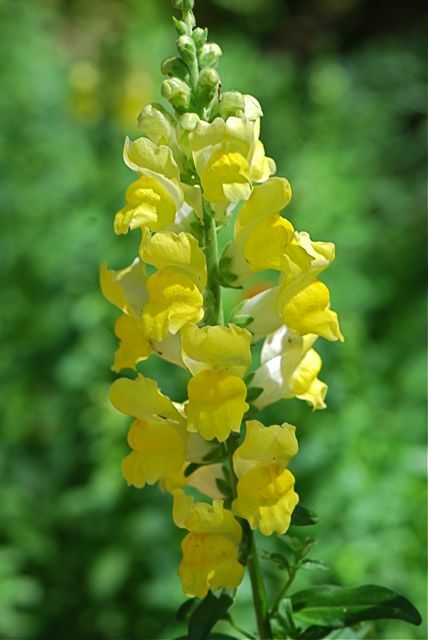 Cultivated snapdragons come in a variety of colors, and flower shapes. They will also readily re-seed here. This is a plant that volunteered in our yard. Children love to gently pinch the sides of an individual flower, making the mouth-like "dragon" open and close. My favorite memory about snapdragons is once seeing a small bee crawl inside to get to the nectar. It was quite a struggle for it to get into the opening, and eventually is was obvious the bee was trapped inside and couldn't push its way back out. I gently opened the "mouth" and out popped the tiny bee. Do you grow snapdragons? Do you have any favorite memories? My daughter has snapdragons in her garden. We live in the north and buy the plants yearly. I did not realize that in some areas they will come back. It was a surprise to us, too.